UPDATE: On Dec. 7, 2018, Jane Doe #62 was identified as Ranata Cherise Hall, 14. The Los Angeles County Department of Medical Examiner-Coroner is seeking the public’s help in identifying a young African-American female who died earlier this month. In the early morning of Aug. 5, a young woman was found unresponsive near Colonel Leon H. Washington Park in the Florence-Firestone area of South Los Angeles. Authorities were called and the female was taken to St. Francis Medical Center in Lynwood, where she was later pronounced dead. Authorities believe the decedent was in Compton on Aug. 4 and traveled to the Florence area of South Los Angeles that evening. The female appears to be an African-American juvenile between the ages of 15 and 20 years old. She is 63 inches tall and weighs 133 pounds. She has long, brown curly hair and brown eyes. The decedent has no tattoos; however she possesses small, irregular shaped scars to the back of the right wrist and both heels. At the time she was found, the young woman had a white metal ring in her right nostril and one piercing in each ear lobe. A facial photo is available upon request. 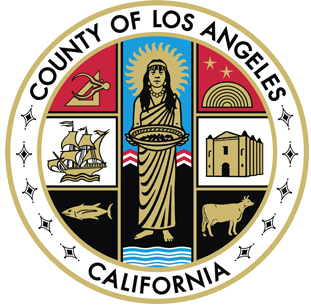 Anyone with information about the ID of the decedent is asked to contact Coroner Investigator Betsy Magdaleno at the Los Angeles County Coroner Identifications Unit at (323) 343-0754 or the Coroner Investigations Division at (323) 343-0714 (24-hours). Please reference coroner case no. 2018-06029 during the call.